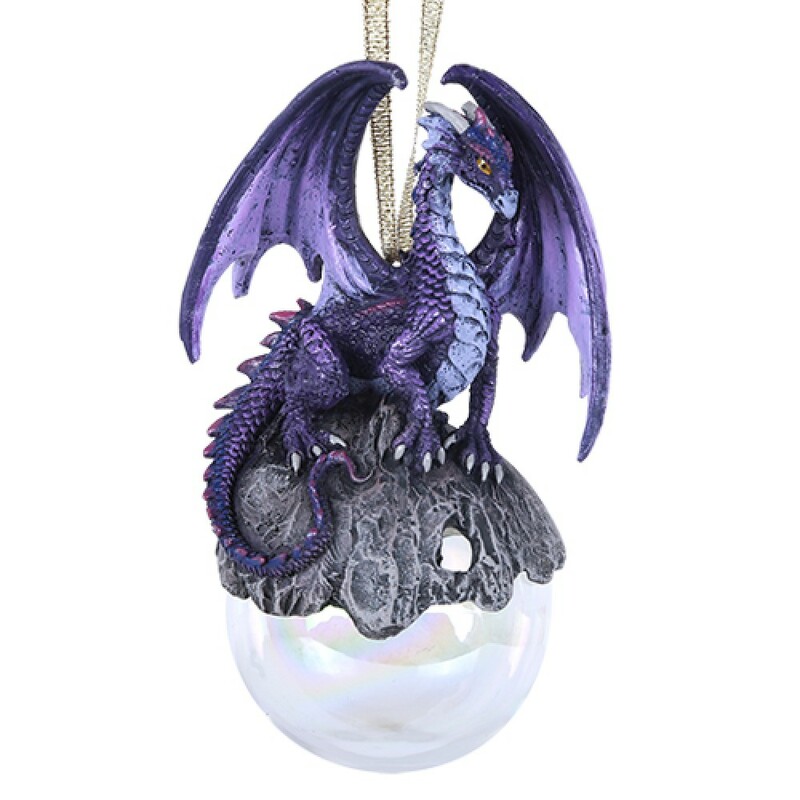 Splurge and get all six of Ruth Thompson's Dragon Ornaments! 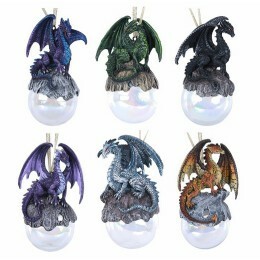 A dragon lover can decorate every corner of their lair with these ornaments based upon six of Ruth Thompson's paintings. 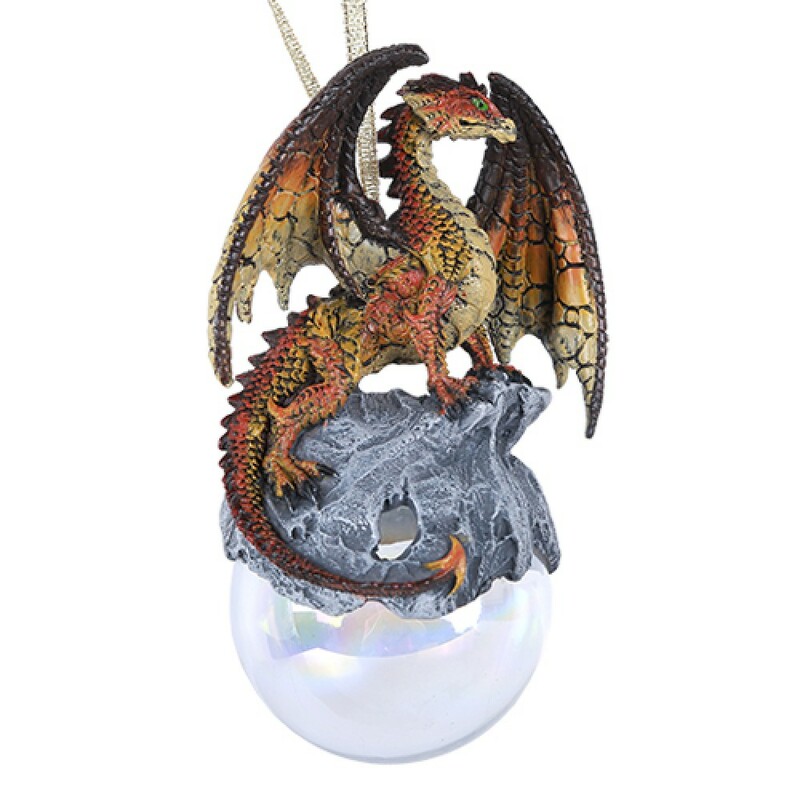 Every dragon is slightly different. 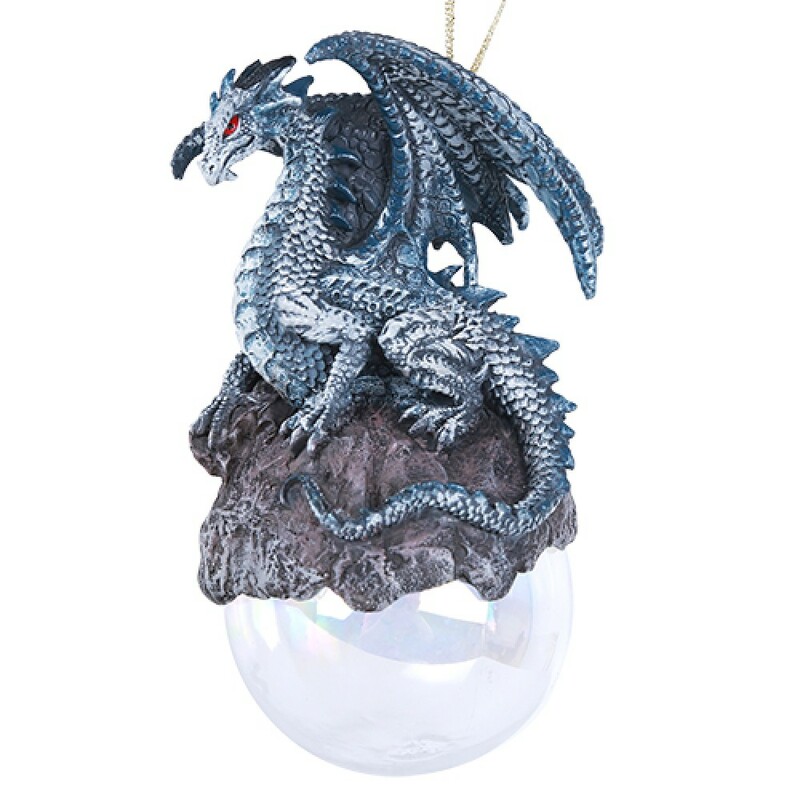 Each one is hand-painted, highly detailed and perched up a clear glass iridescent globe. Bring all these six drakes into your life and start a great collection! 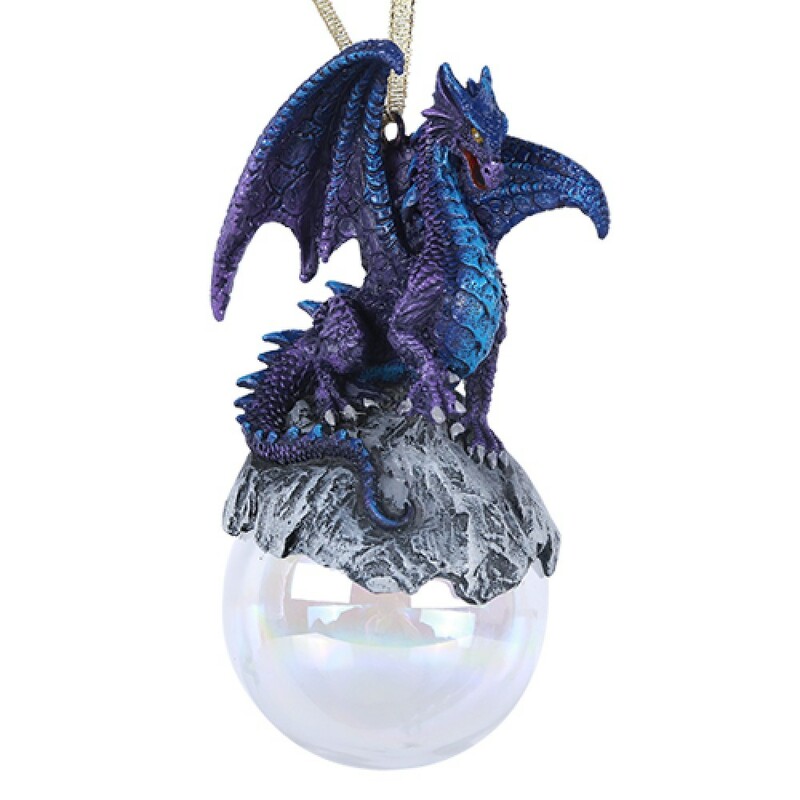 A great idea for a fantasy-themed Christmas tree, but these little beasts would be fun to display all year long! Each is Sized: 3 1/4" x 2 1/2" x 5"